Why did Schiaparelli crash during landing? 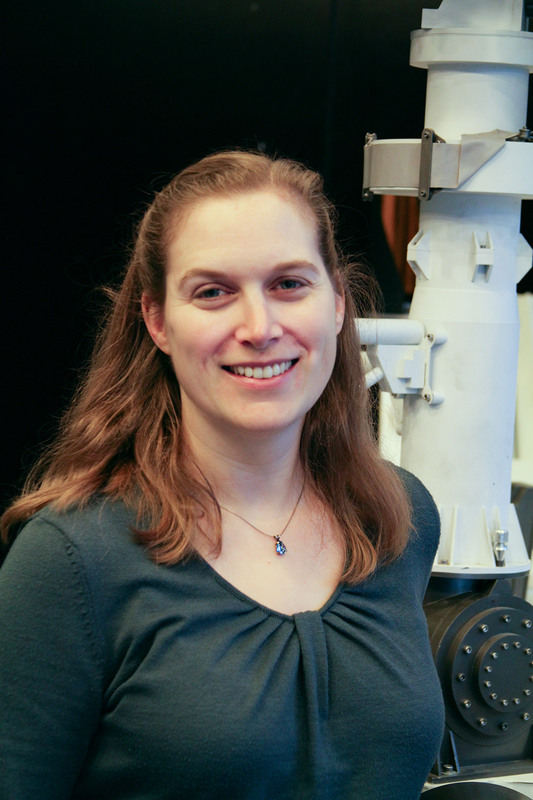 RocketSTEM spoke with Dr. Kimberly Lichtenberg, a scientist and engineer who works on NASA’s Mars rover missions at NASA’s Jet Propulsion Laboratory (JPL), Pasadena, Calif., in conjunction with our “Women in Aerospace” series. We spoke about her career at NASA, role models, education and how she became interested in space exploration. Indeed she’s been in love with space virtually her entire life. Her father, Byron Lichtenberg was a Space Shuttle astronaut and an inspiration. Kim’s current project is NASA’s newest Mars surface mission, the Curiosity Mars Science Laboratory (MSL) rover which touched down on the Red Planet on Aug. 6, 2012. Q: People are very interested in what you’re doing at NASA and on the Mars missions, in particular as a woman in aerospace. I’d like to start a little bit on your background. What got you excited and motivated about space and to study science and engineering? Kim: I’m actually a little bit of both. My undergrad is in engineering. My Master’s and Doctorate are in science. I have kind of one foot in one area and one foot in the other. Q: Tell us please about where did you grow up and your father? Kim: I grew up in New England. I spent my formative years up through college between Massachusetts and Virginia, along the Mid-Atlantic East Coast up inside the New England area. As I mentioned, my dad, Byron Lichtenberg, was an astronaut. He went up on STS-9 and STS-45 in 1983 and 1992, respectively. Q: Who were your role models growing up? Kim: I had a bunch of female role models in high school in general because I went to an all-girls high school. But they were not necessarily specifically in the sciences and engineering. I actually particularly like Queen Latifah. It sounds really funny but she is just … She just seems like a good, strong overall female role model. She’s a rapper and an actress. Q: I would never have guessed that. Queen Latifah. Why is that? Kim: She seems really confident and very sure of herself but not in an overbearing way, if that makes sense. Q: How about any other astronauts? Kim: I think in general astronauts as a whole were definitely there. But in particular Sally Ride is just fantastic. Valentina Tereshkova is possibly even more important than Sally Ride because I actually got to meet her when I was in high school. That was pretty amazing. Q: Met her in high school. Was that because of your dad or some other reason? Kim: My dad took me as a tagalong to a conference he went to in DC. I got to meet her and talk to her. She spoke English, not all that well. But I was able to communicate with her. She’s a formidable woman! Q: What motivated your interest in science and Mars? Kim: One way I got interested in it was thorough my dad. I grew up being immersed in the space program. The other way … I’ve always been interested in science and engineering but it wasn’t actually until college that I really got interested in planetary science. I spent a summer with the NASA astrobiology Institute. It’s a summer program for undergrads and graduate students. There are a couple of different NASA summer programs. That was the first summer I heard about Europa, which is one of the moons of Jupiter. At Washington University, Ray Arvidson was my PhD advisor. Ray works on numerous NASA Mars missions. I had a great time in graduate school. As it turns out, I really loved working on Mars. He is a fantastic scientist. He also thinks a little bit like an engineer as well which is unusual for a scientist. Q: For Ray, you worked on the Spirit and Opportunity MER missions? Kim: I worked on both. I was more heavily involved in Spirit. And especially heavily involved in the Spirit extrication effort when Spirit was stuck. Q: That’s very interesting and a very sad outcome on Spirit extrication. Can you describe that? Kim: Yeah. It was entirely possible that if we had just a few more weeks before when winter set in, we might have actually made it out. We just needed more time. We didn’t have it. What we were actually trying to do is get Spirit to a south-facing slope. Because during the winter, that would maximize the solar radiation on the panel to get more power. Since we weren’t on a south-facing slope, we didn’t get as much energy. Basically, the power started to decrease enough that she didn’t have enough power to communicate with earth. Then when we came out of winter, she just never woke up again. We’re not exactly sure what happened but probably something thermal-related. Q: Now you’re working on MSL. And the team certainly has some lessons learned from that Spirit episode for how you would operate Curiosity? Kim: Yes, you can’t necessarily determine what the terrain’s going to be like, just from looking at what the surface looks like. To some extent you can. Obviously if there’s bedrock and you can see it, you know that’s going to be pretty easy to drive on. But if you’re driving on some sandy materials, this material has been undisturbed, other than by wind for a very, very, very long time on Mars. It’s had a lot of dust accumulation which it can hide with under the surface. Probably the biggest lesson that we’ve learned from MER and that we are definitely taking to heart on MSL will be to be very careful when we are driving and see the dunes coming up. We won’t necessarily plunge right in. But maybe take a toe dip and see how the Rovers and the system is going to react. Q: Right, especially when you get closer to Mount Sharp and you have to cross that dune field. Q: How and when did you get to work for JPL? 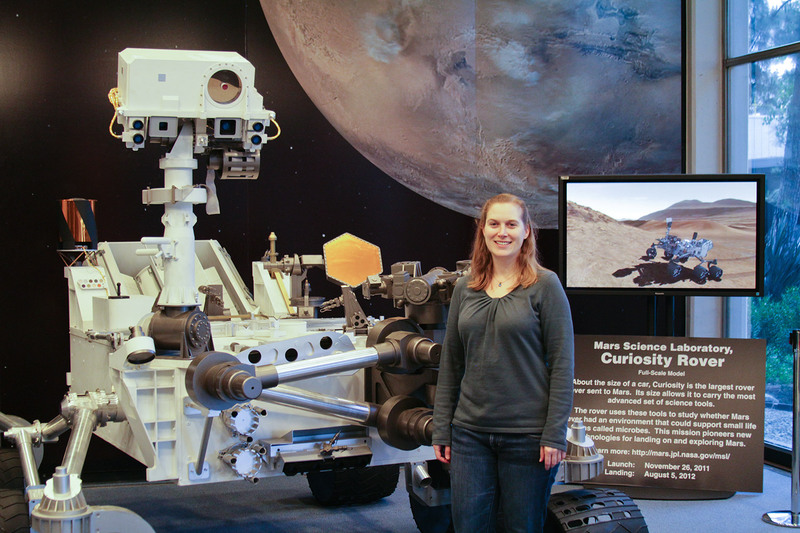 Kim: Through my graduate work I was able to realize that mission operations was what I really wanted to do. With that in mind, when I was coming close to graduating I began putting the word out at JPL. I got super lucky. They were starting to look for operations personnel for MSL at that time. I got hired in 2010 as a mission operations engineer. Q: What were your responsibilities as MSL operations engineer? Kim: I was focused on the uplink process, uplink from Earth to the Rover. Really it was a tactical planning cycle. You start off with basically … You have a day on the Rover that you want to have the Rover do something with. Most of the scientists will put forth ideas. They’ll propose a whole bunch of different stuff. We basically throw it all into one plan and hash out with the scientists what’s going to fit and what’s not going to fit. That part of the process was the part that I was most heavily involved in. It’s figuring out how much we can fit into the Rover in a day and how much data can we get down. Is it going to be enough to plan for the next sol? Q: And at some point after landing you switched from mission operations to specifically working on the Sample Analysis at Mars (SAM) instrument that analyzes the soil and rock samples collected by the drill? Kim: Yes I switched in January 2013. I’m loving it so far. Q: Describe your new position as the instrument system engineer for SAM? Kim: Each of the instruments has an instrument system engineer who works for JPL. They are kind of the technical liaison between the instrument teams which are usually not at JPL and the project management. The prior SAM instrument engineer had gotten a fantastic job offer on another project and they were looking for a replacement. I got the job. Q: Tell us more about what’s involved in being the SAM instrument engineer. Are you the lead engineer? Kim: I’m the lead engineer. Basically I make sure that if there’s anything that the JPL project management needs to communicate to the SAM team who are at NASA Goddard I make sure that that information flows and gets to the right people. Also on the other side on the same team if there’s something that they need or want from the JPL project management, I make sure that they get the information they need. I work with both the SAM team very intimately and the MSL project management. That’s on the telecommunication side. On the technical side, we have models of the Rover here on Earth that we do testing on for any new flight software or new things that we want to try. If there’s anything that’s SAM related that we want to test before it goes up onto the Rover. Q: How about drilling operations to collect the samples for SAM? Kim: Yes. It’s part of my job planning for drilling such as at John Klein and Cumberland. We have to plan one day at a time if that’s going to happen. We might discover something on the downlink that would push that off or move it. Q: When does your responsibly begin with the drill sample? Kim: It starts with using SAM to analyze the drill samples. We have a team of people called rover planners who are the ones that conduct all the mobility, all the sampling and also the drop-off to the SAM instrument. There’s a handshaking that has to happen between the sample and the SAM instrument. Q: How has SAM operated so far at the sites examined so far, for example Rocknest and John Klein? What’s your assessment? Kim: Fantastically. In terms of how the instrument has worked on the engineering level, SAM is absolutely amazing. It is such a complicated instrument. It’s actually three instruments in one. In order to get the best science from the instrument, we’ve left it so that it’s very tweakable. Actually we run scripts on this. It’s actually more like code. It’s writing a program each time we want to do any analysis with it. The code itself turns on heaters, can pump out the instrument. It’s kind of infinitely customizable. We’ll be busy over the rest of the prime mission. Goddard has a test version of SAM that they have set up in a thermal vacuum chamber. They run all their scripts on that ahead of time to make sure that all the limits are set correctly and that the script is safe to run on the surface. But you can’t model everything. Sometimes things work a little differently on the surface than they do on the test pad at Goddard. Q: I guess to finish up, please tell me how happy or proud are you to work on this mission? Kim: Oh my goodness. I can’t even put any words to that adequately. I am thrilled. I am so happy and so proud to be working on this mission. There’s really nothing else I’d rather be doing.